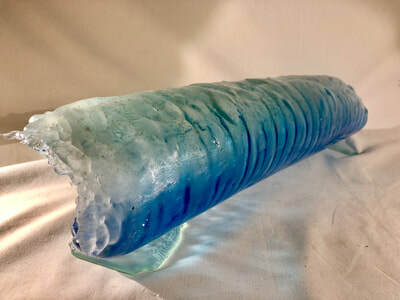 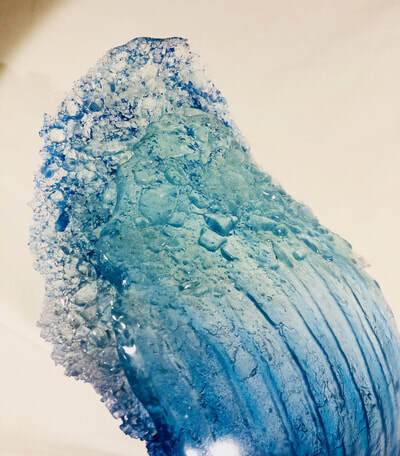 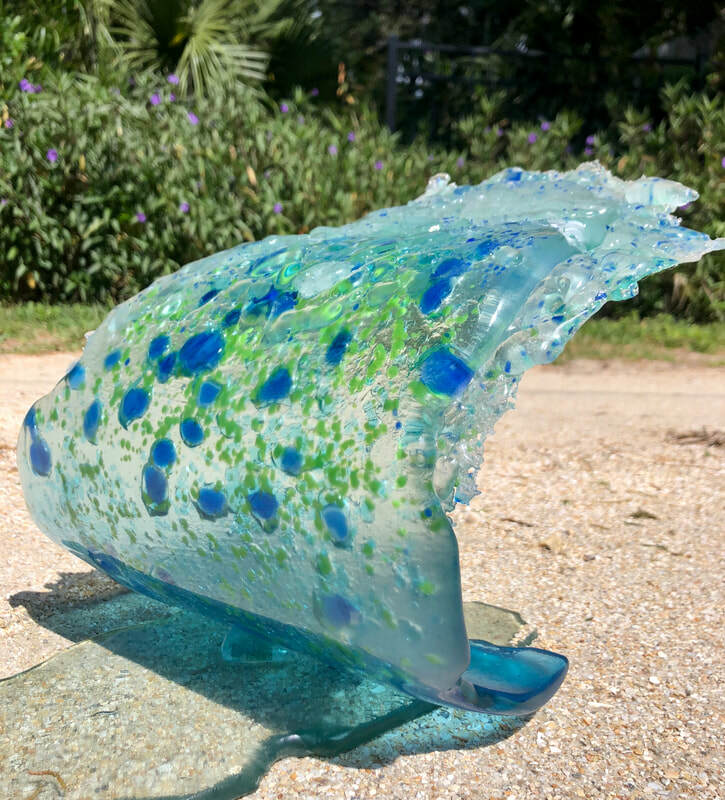 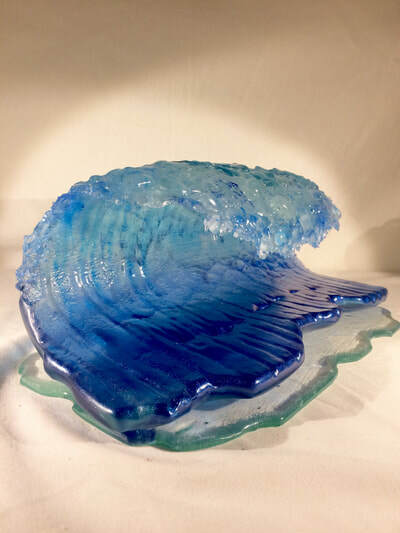 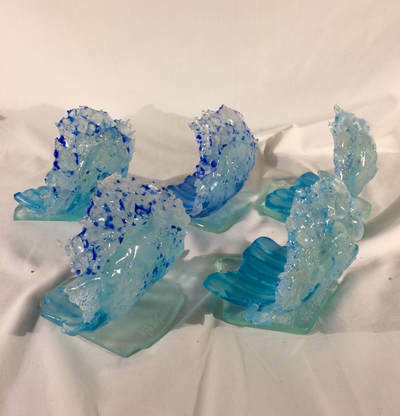 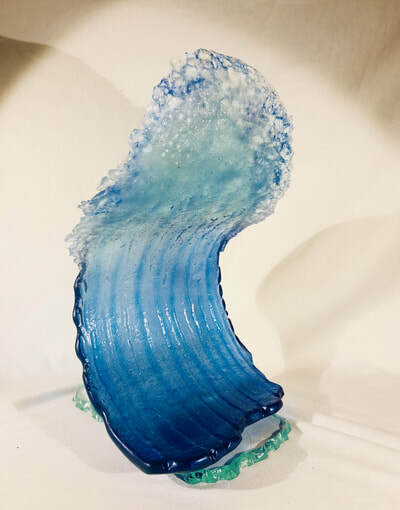 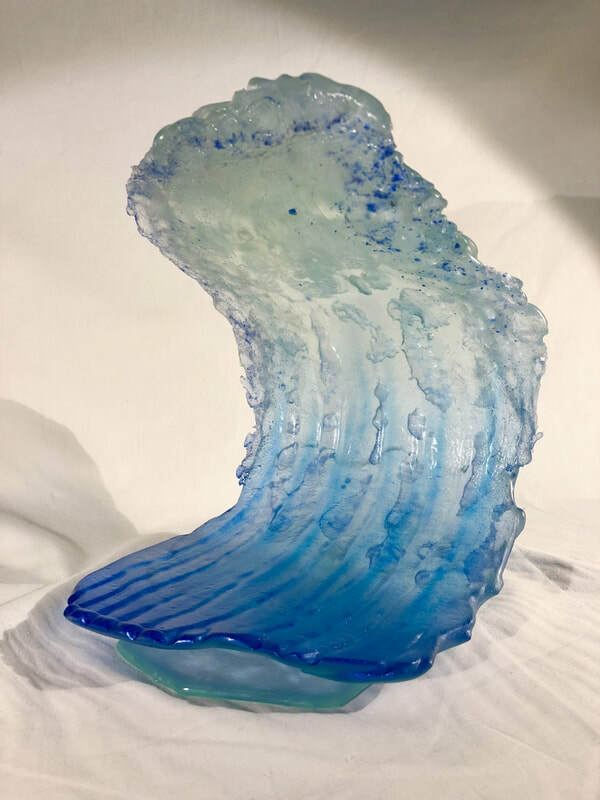 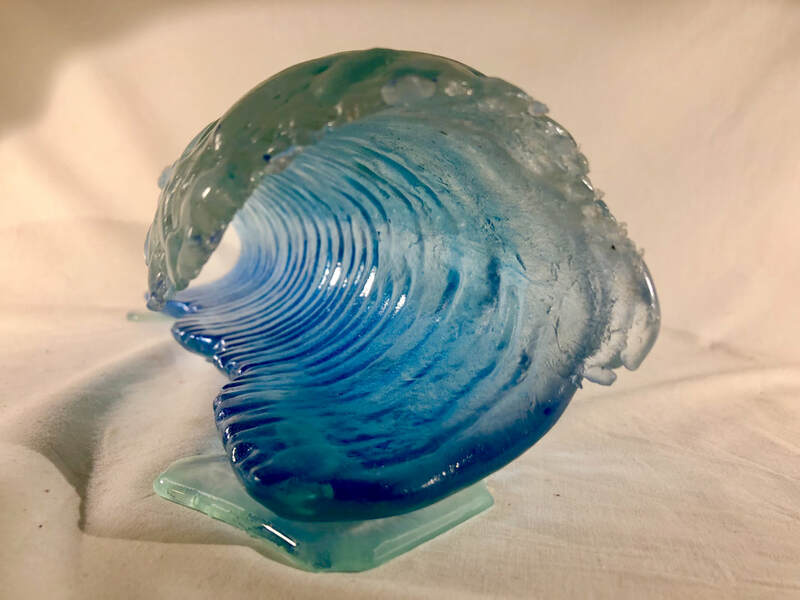 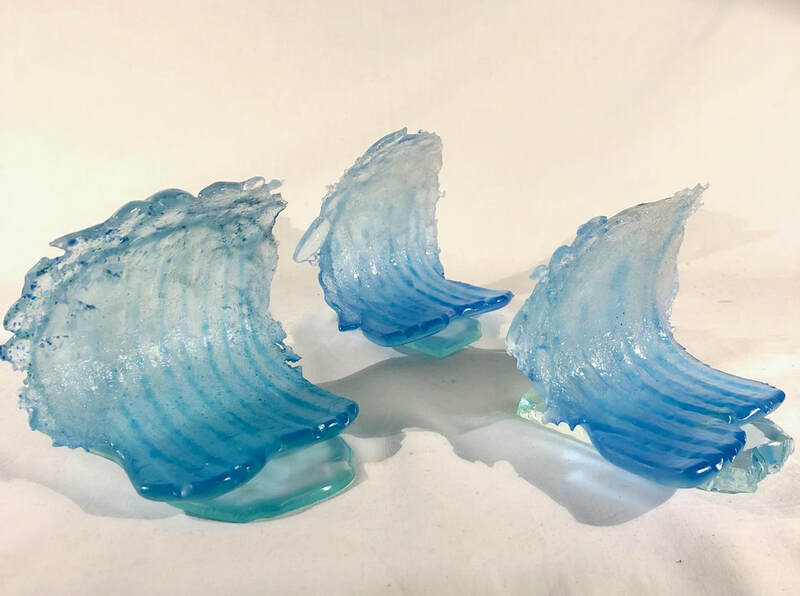 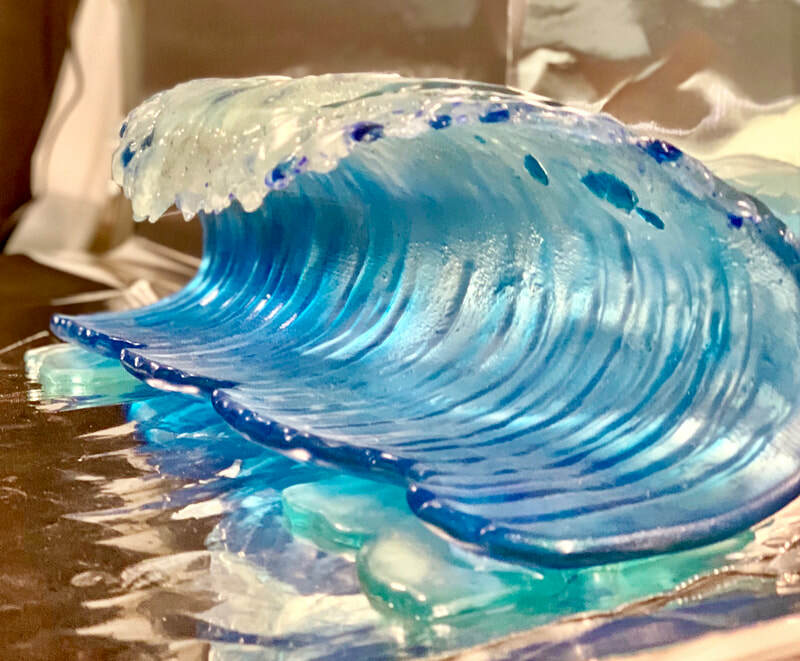 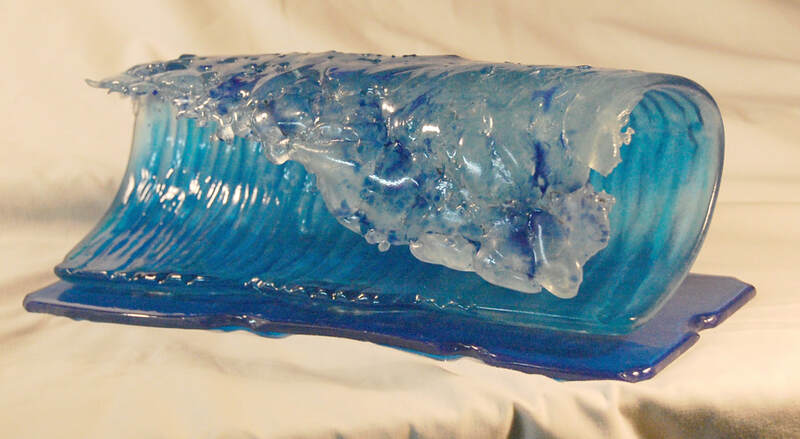 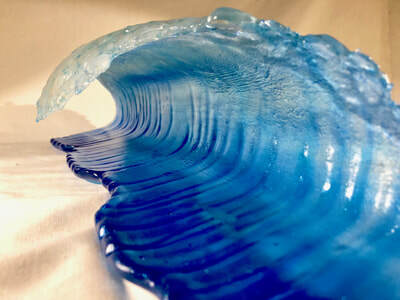 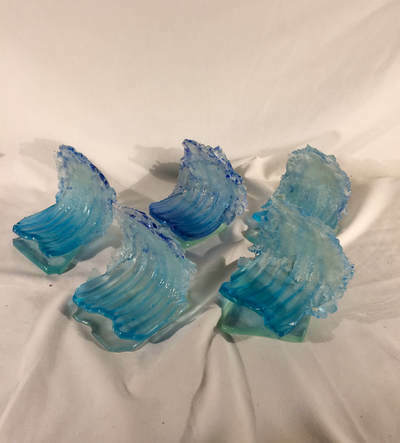 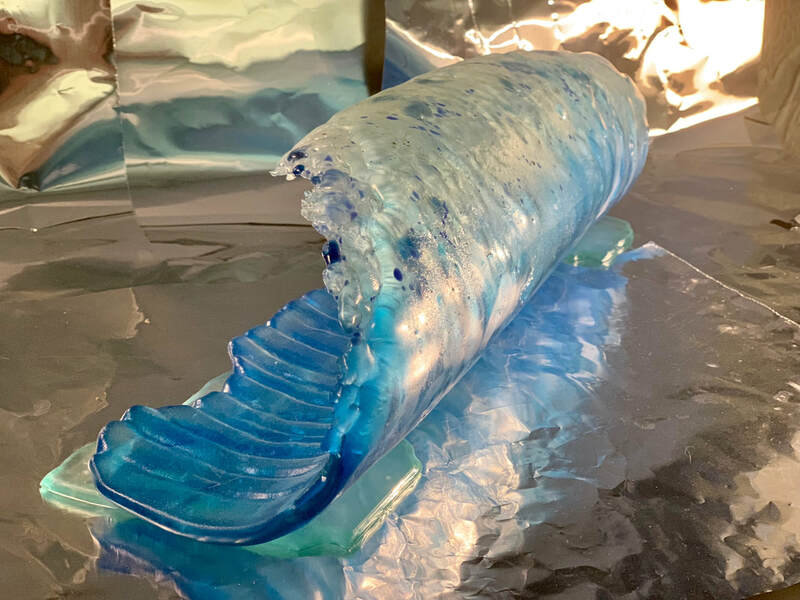 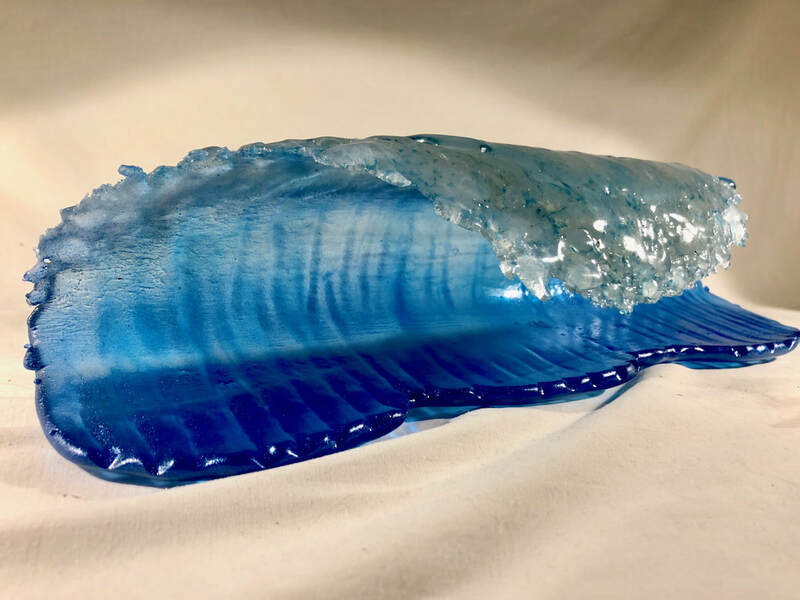 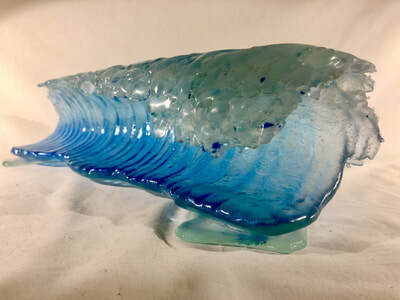 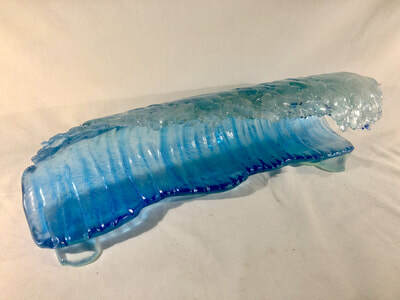 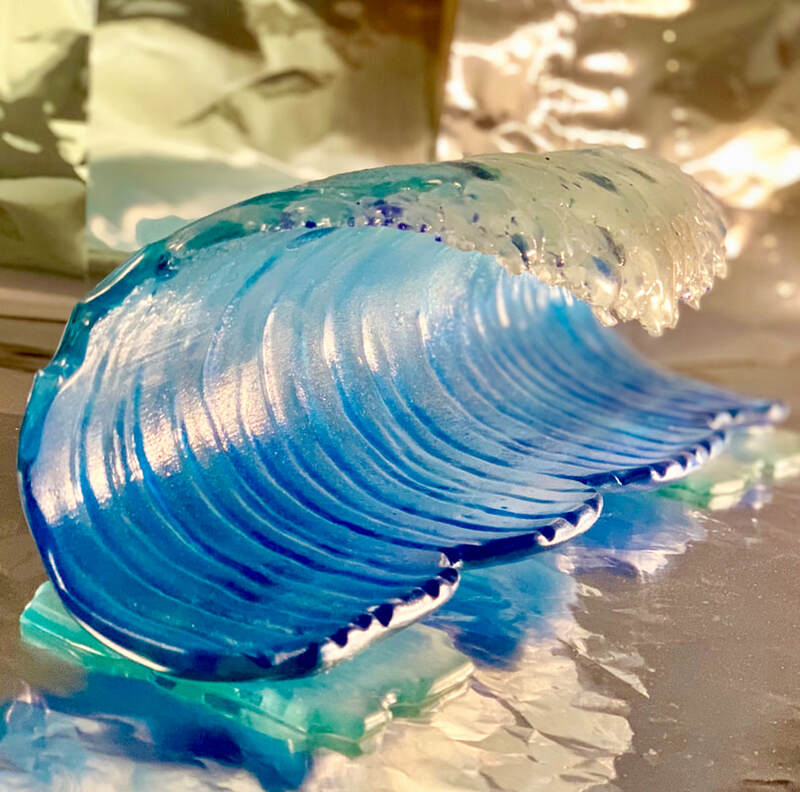 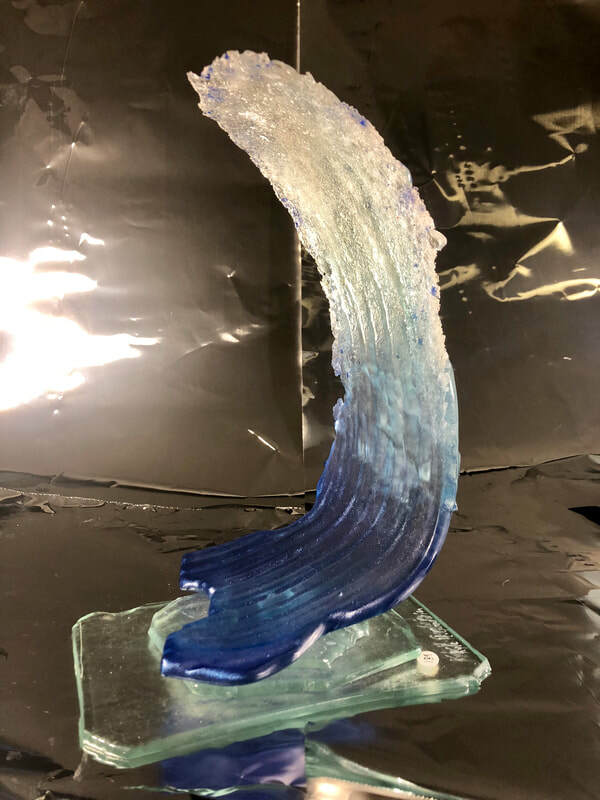 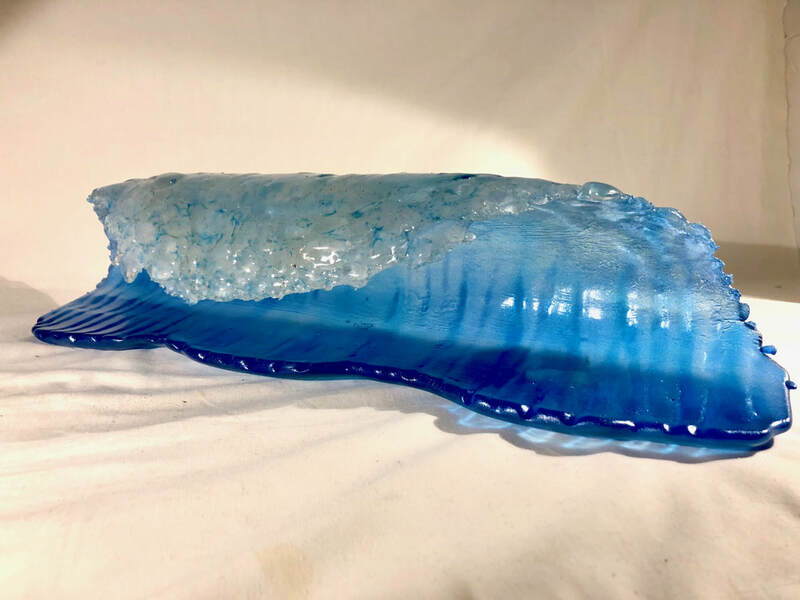 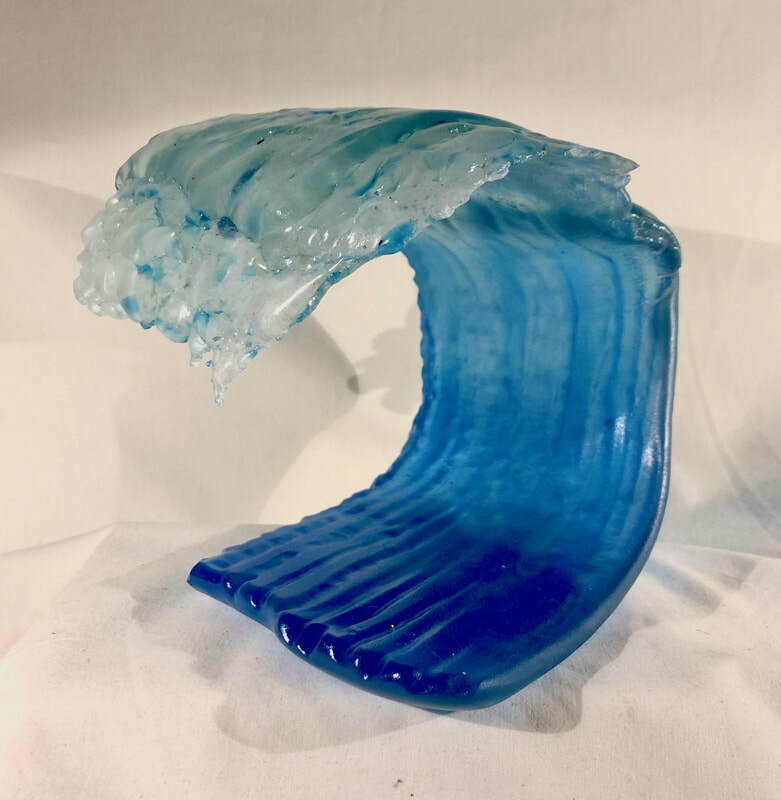 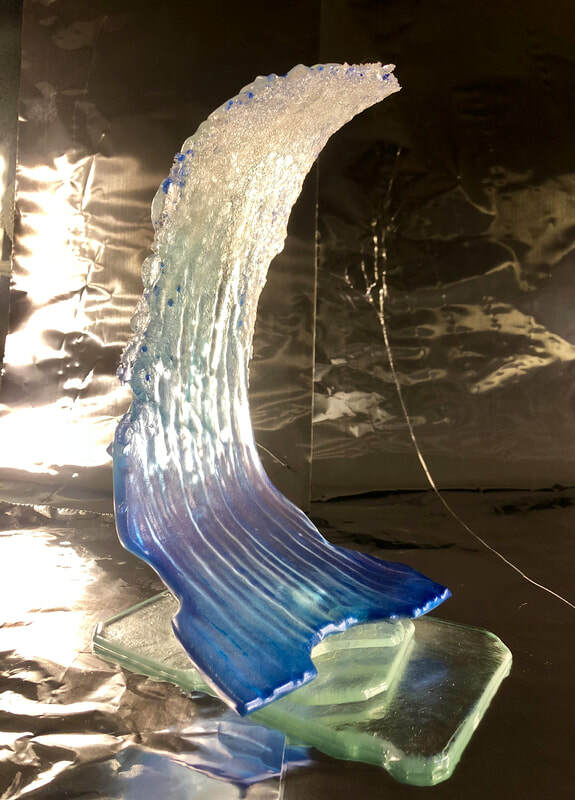 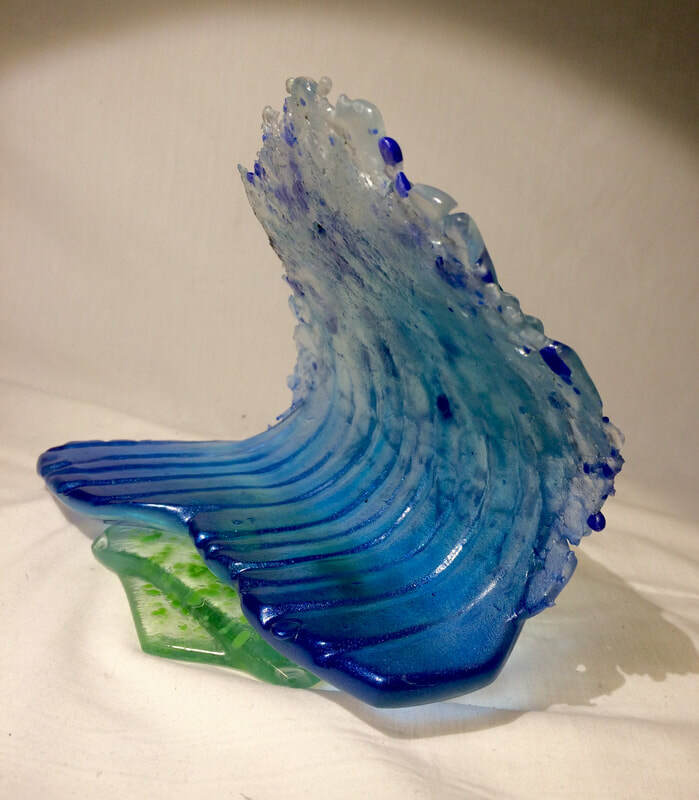 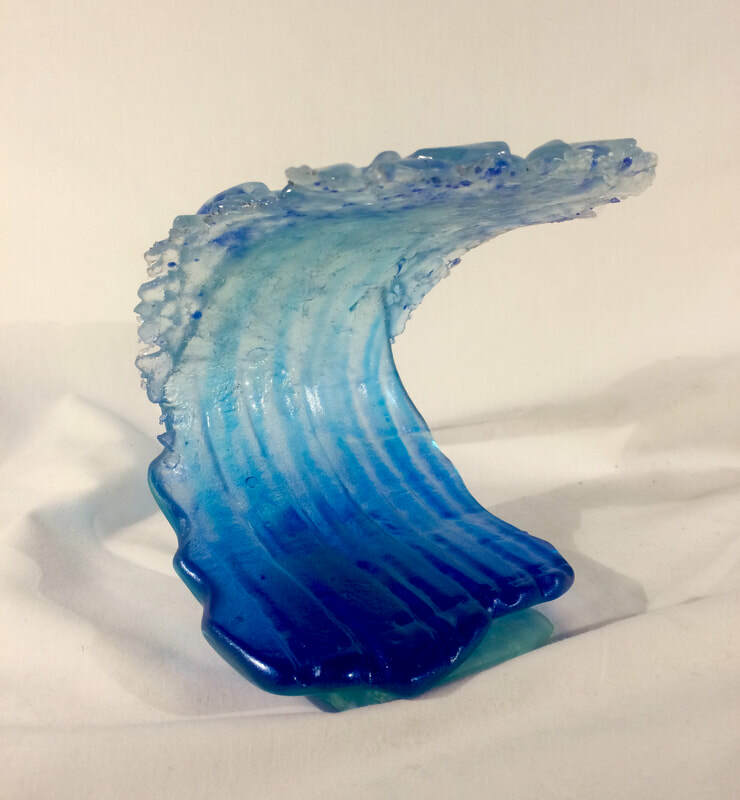 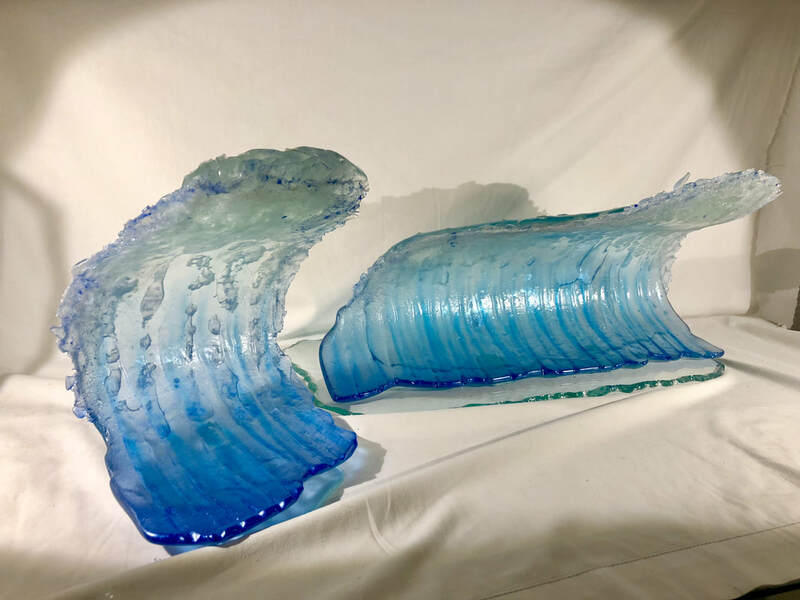 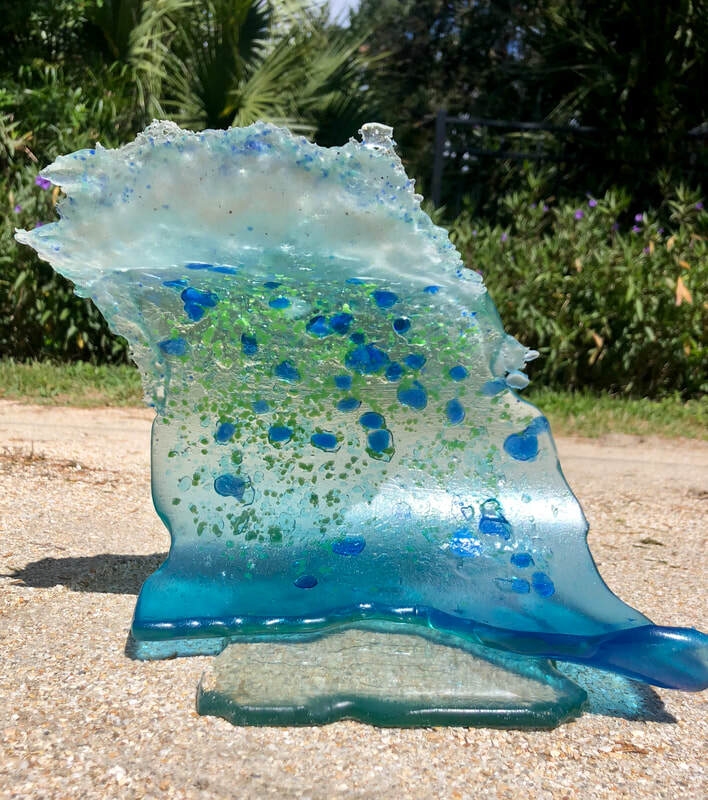 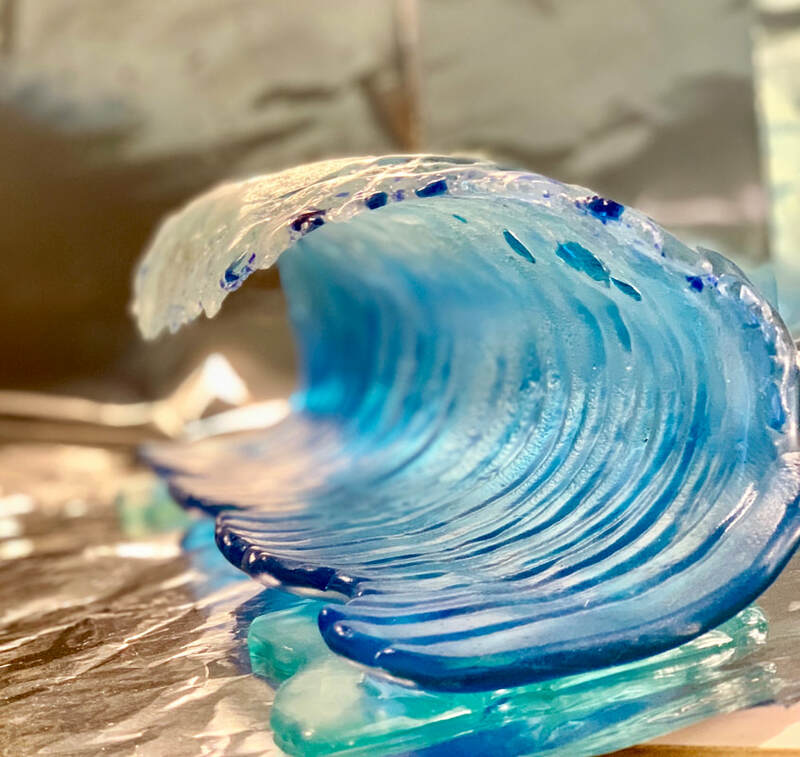 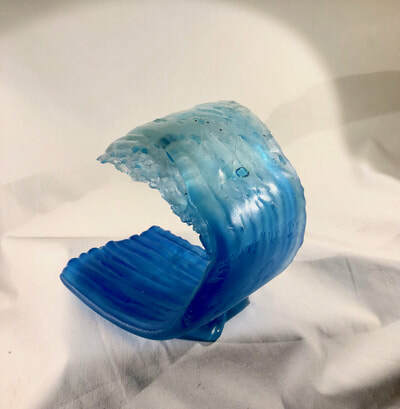 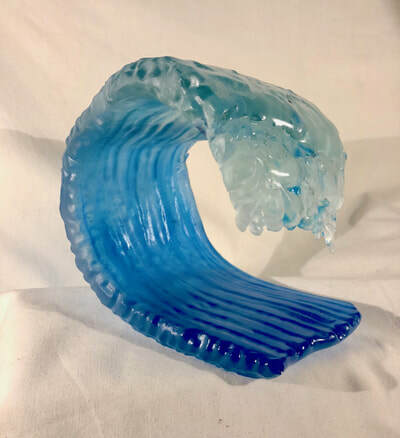 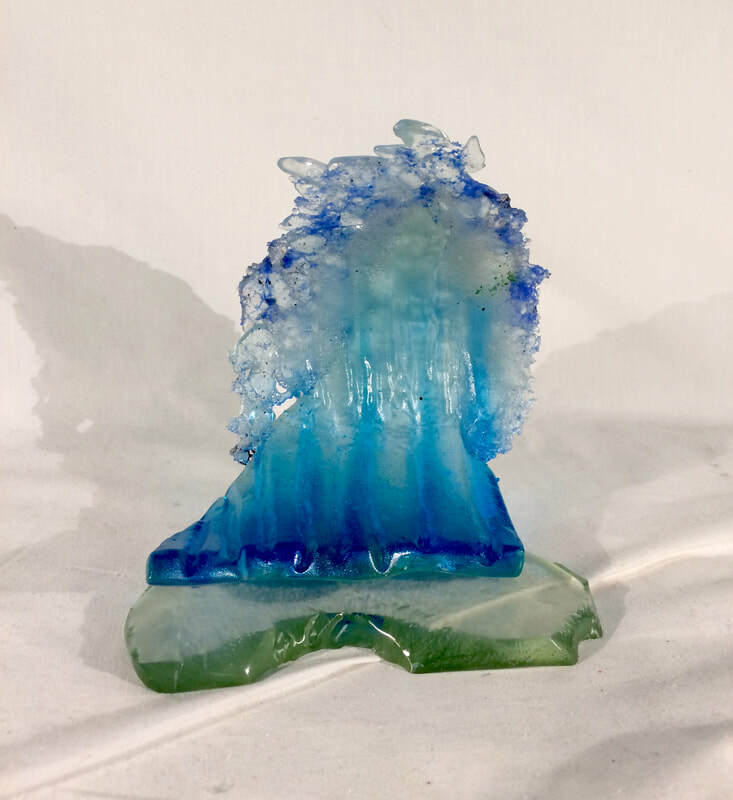 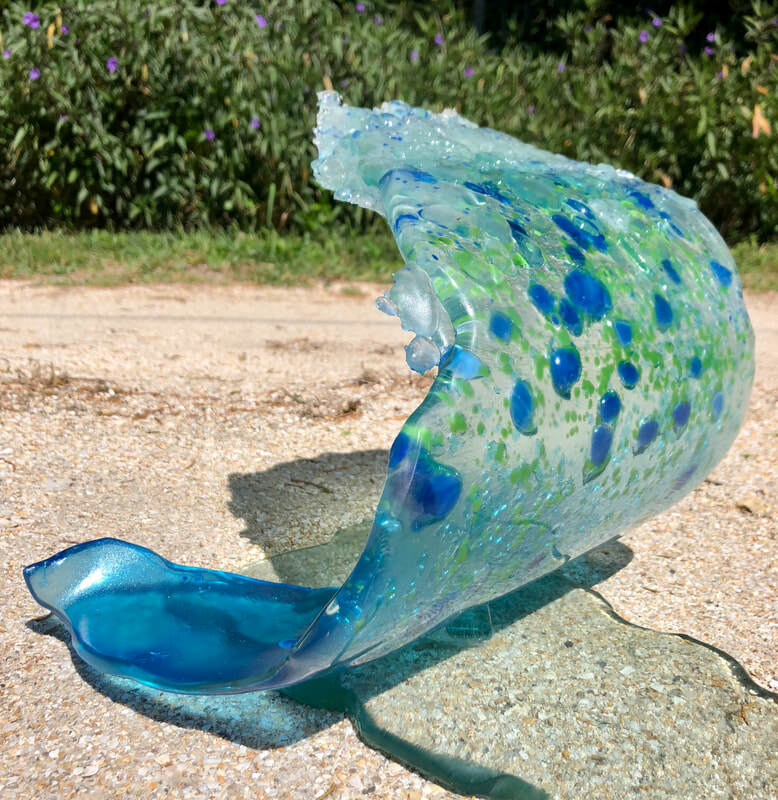 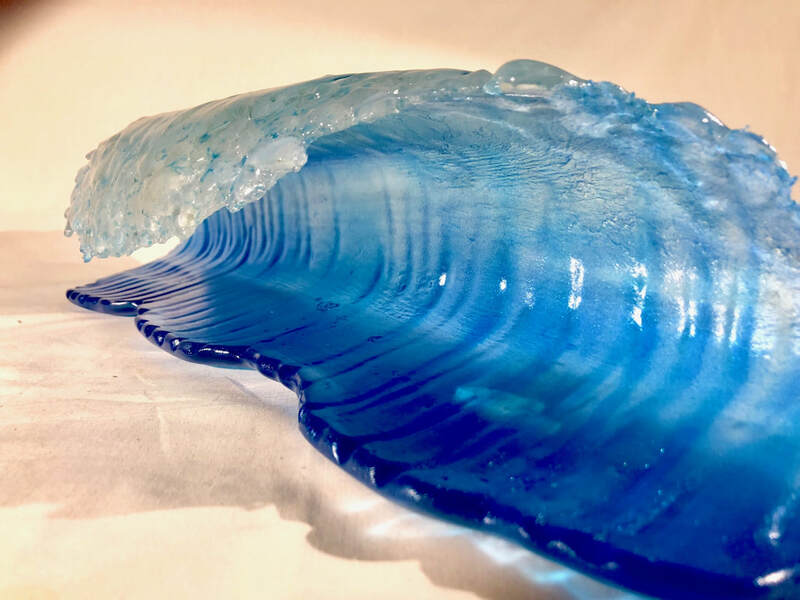 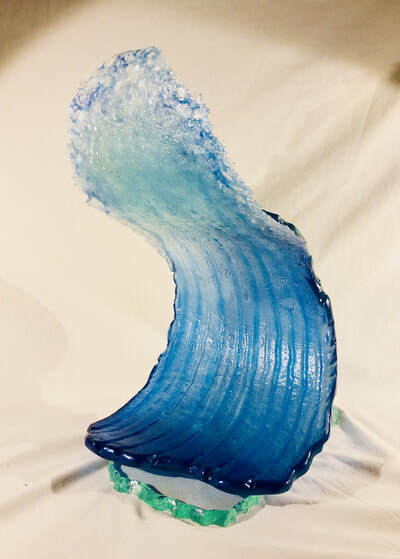 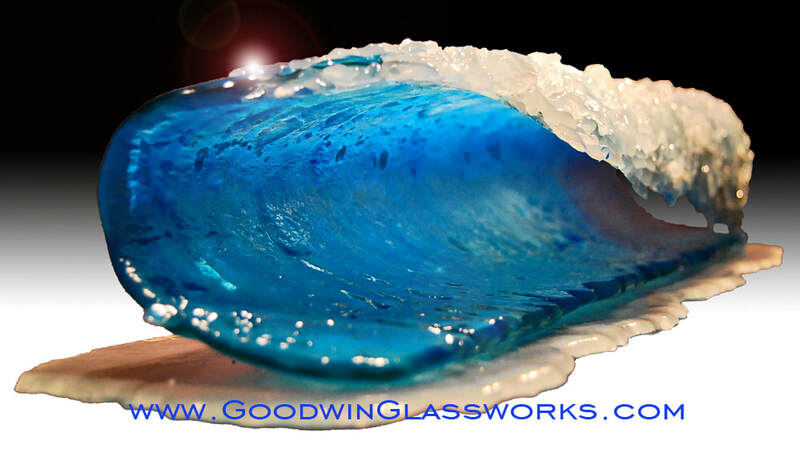 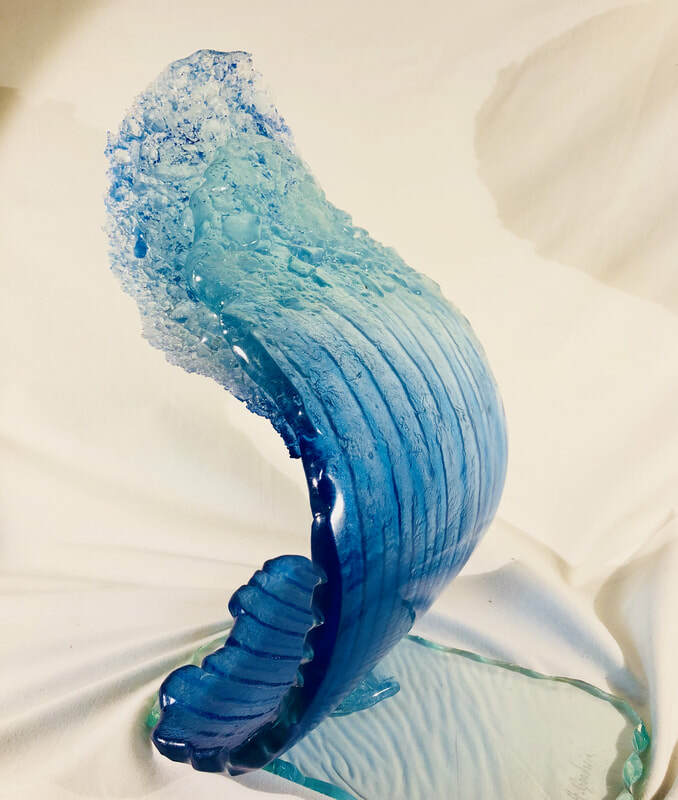 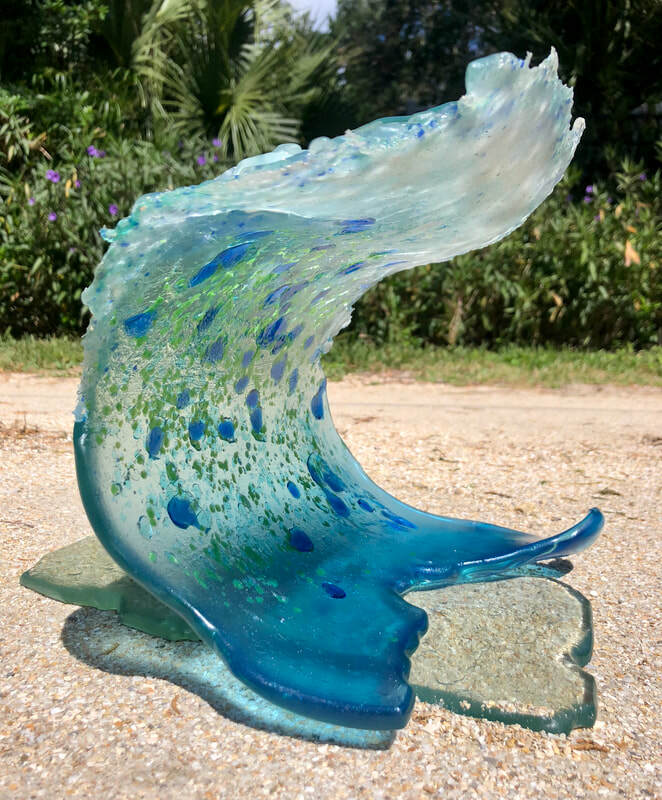 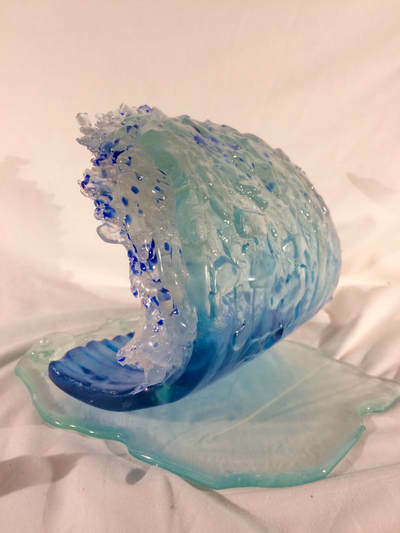 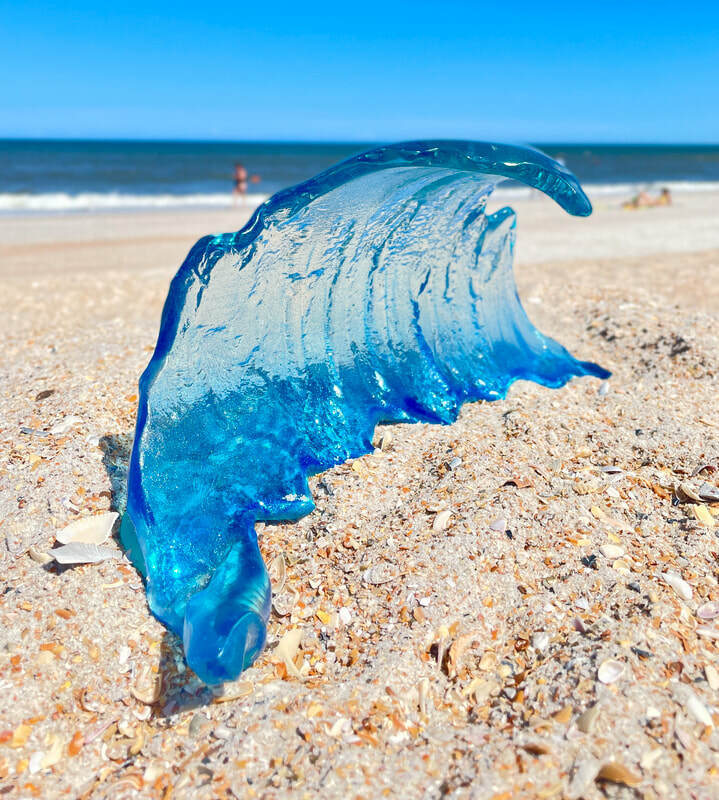 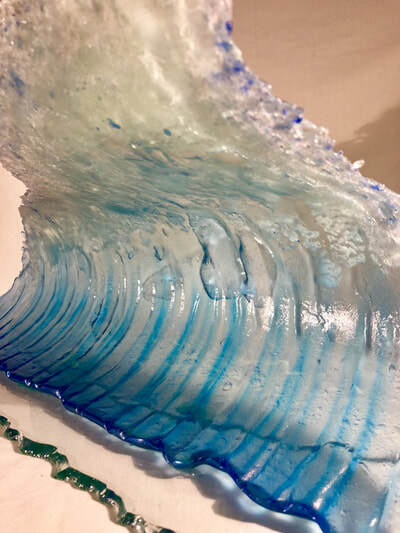 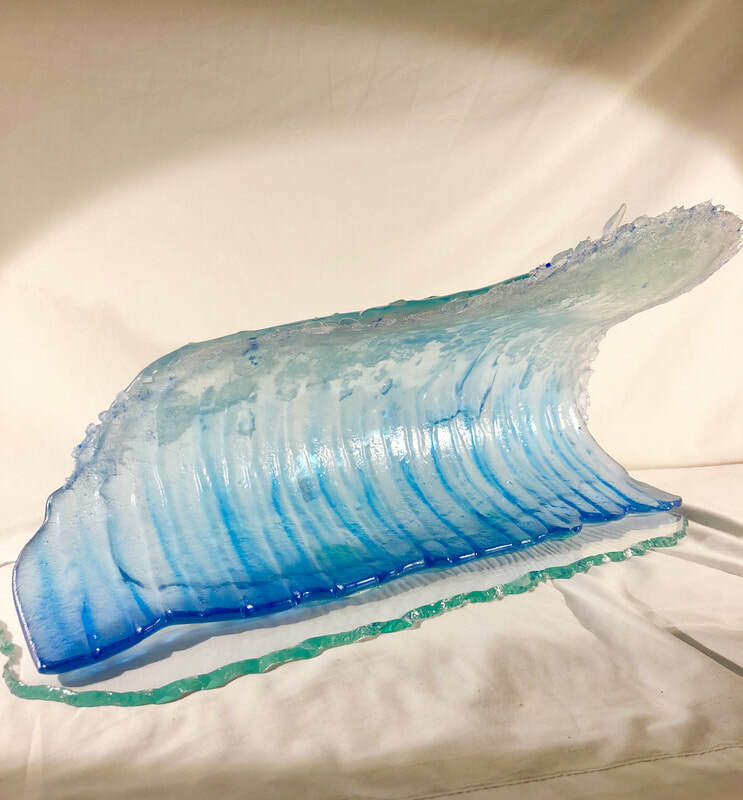 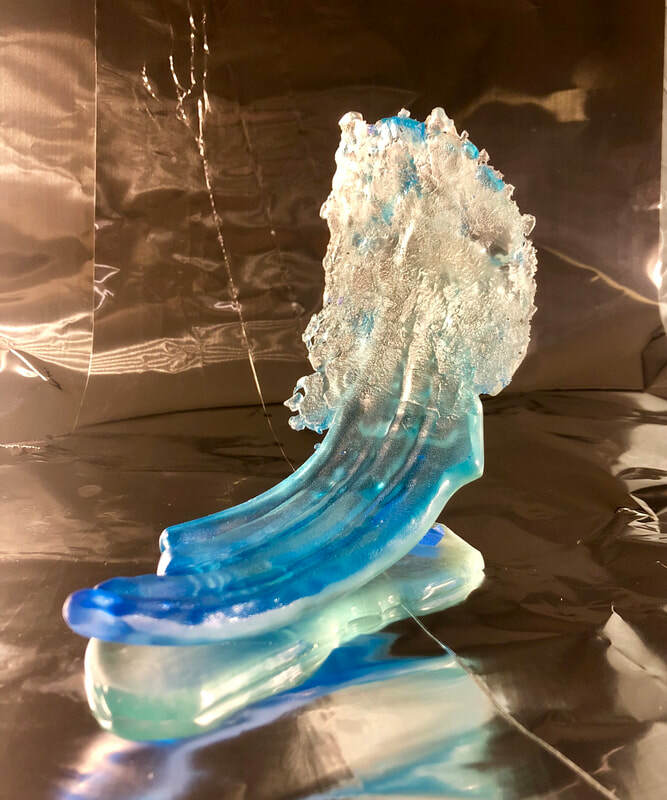 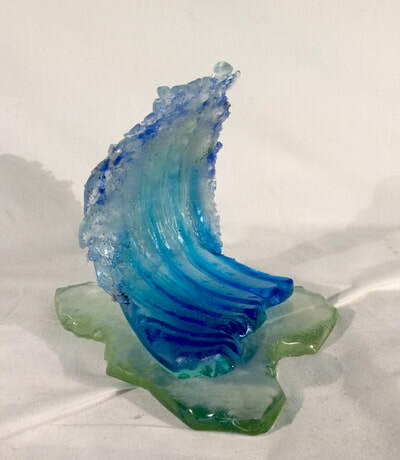 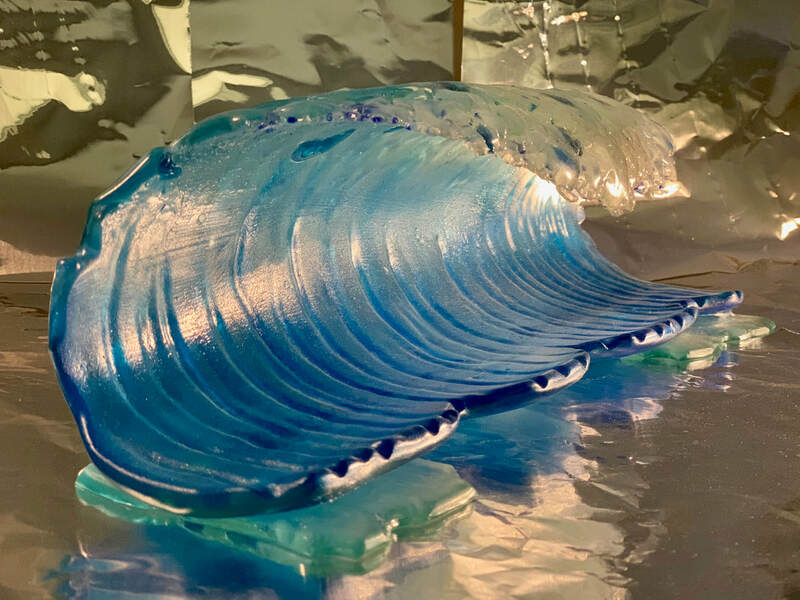 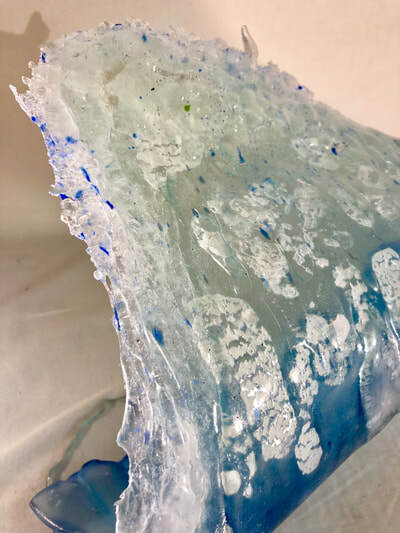 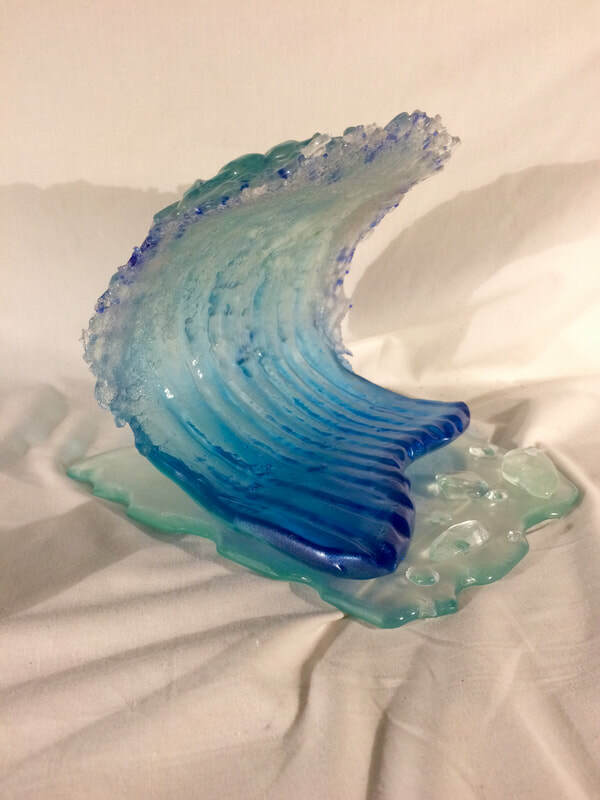 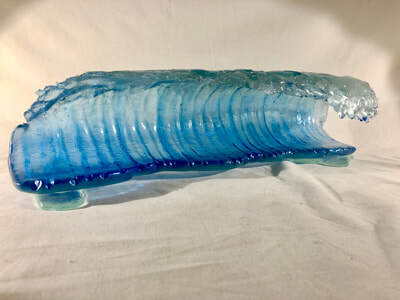 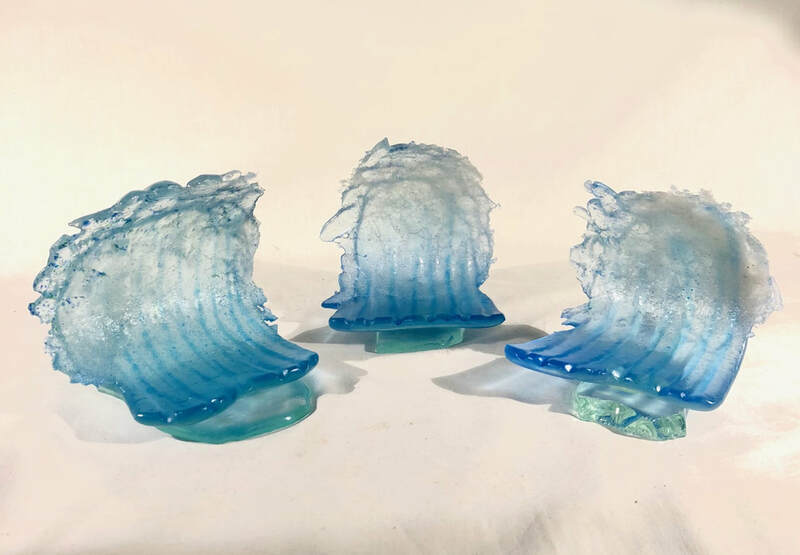 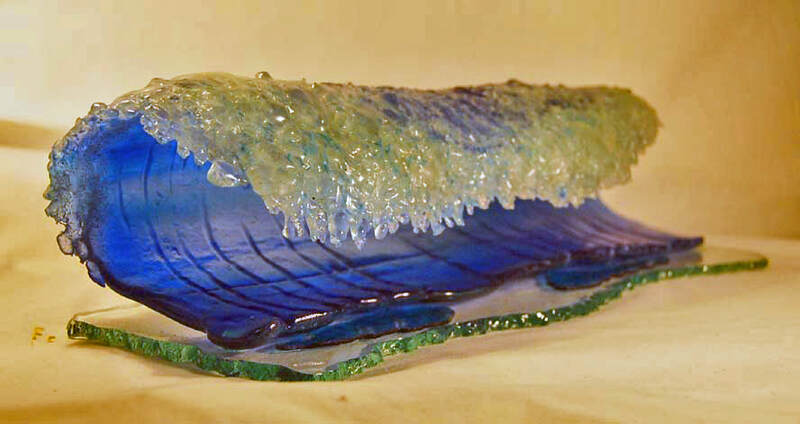 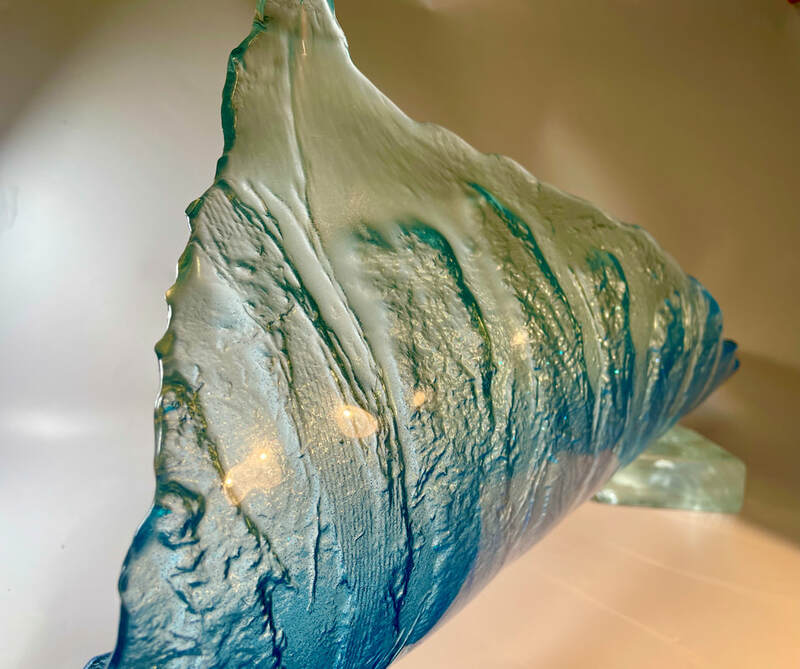 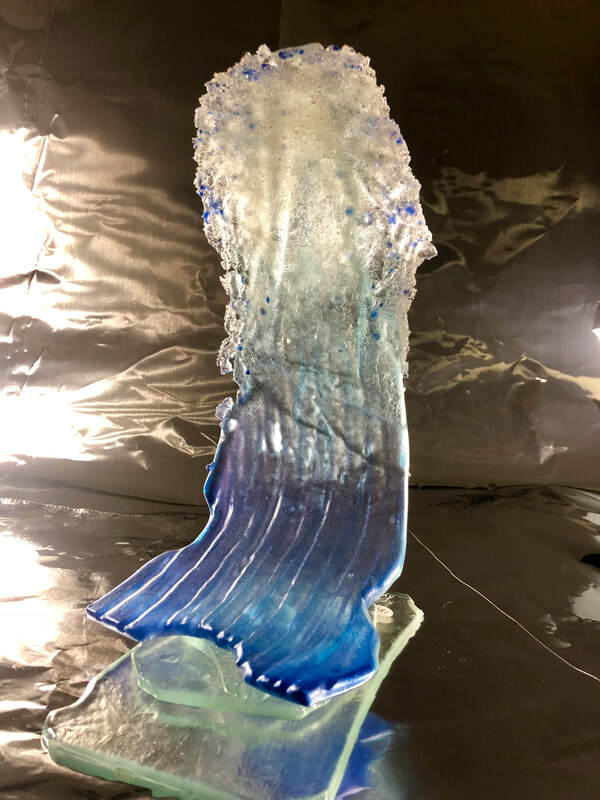 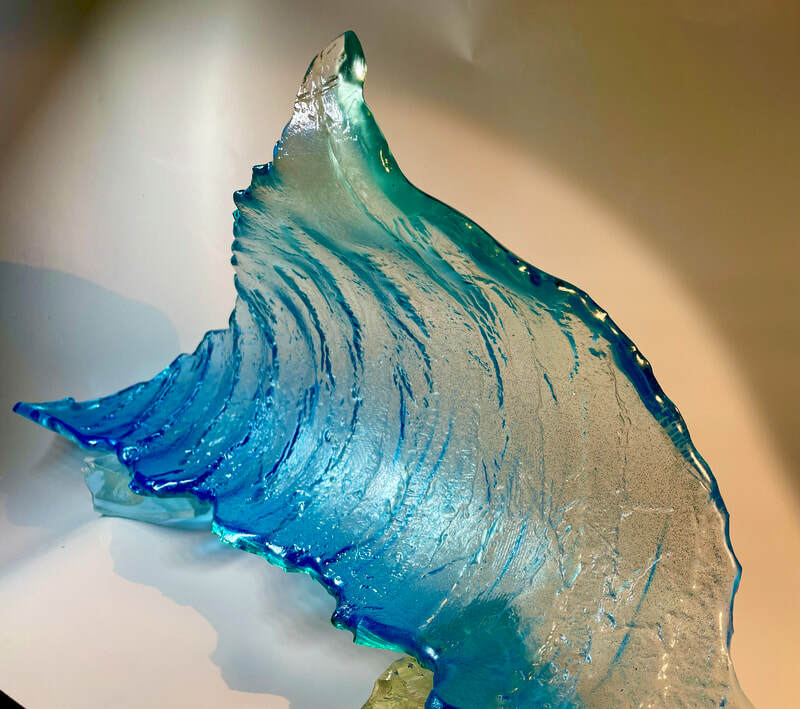 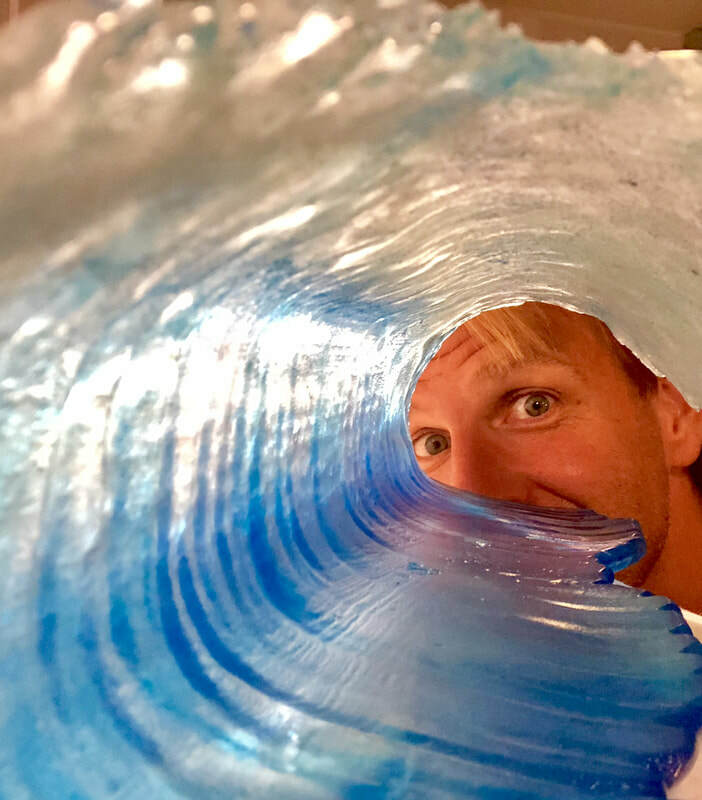 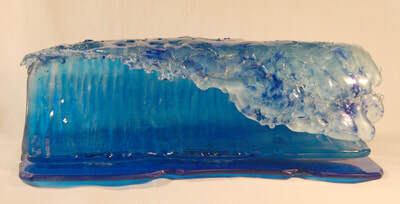 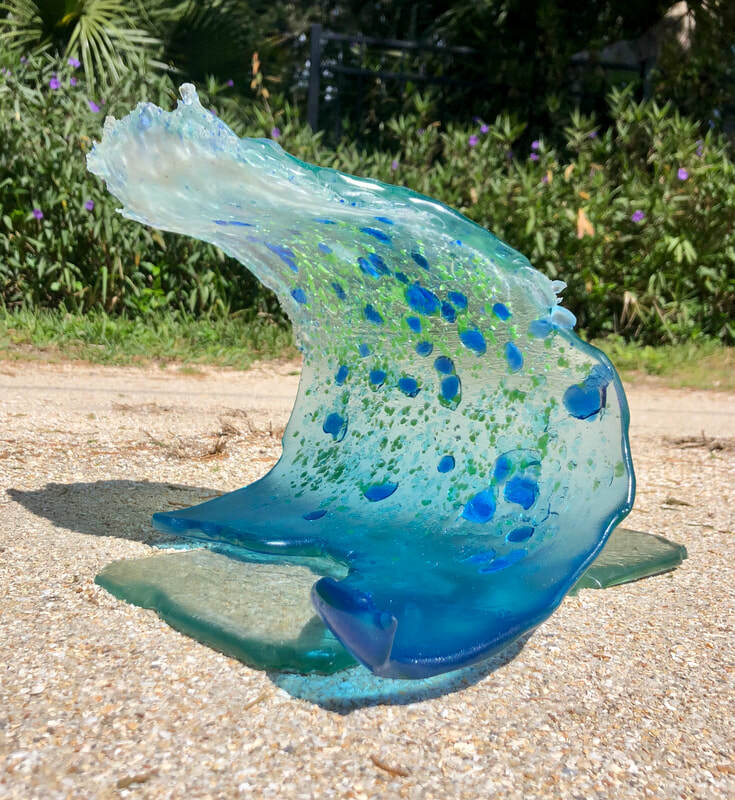 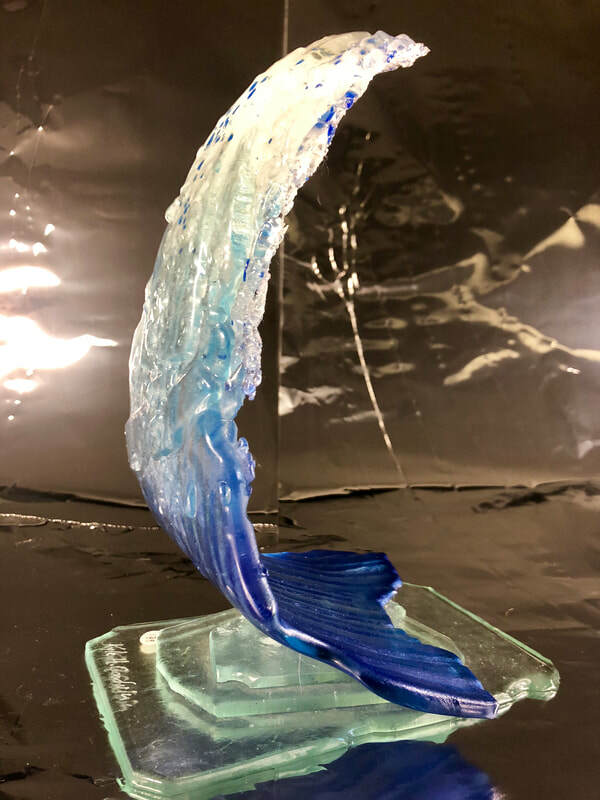 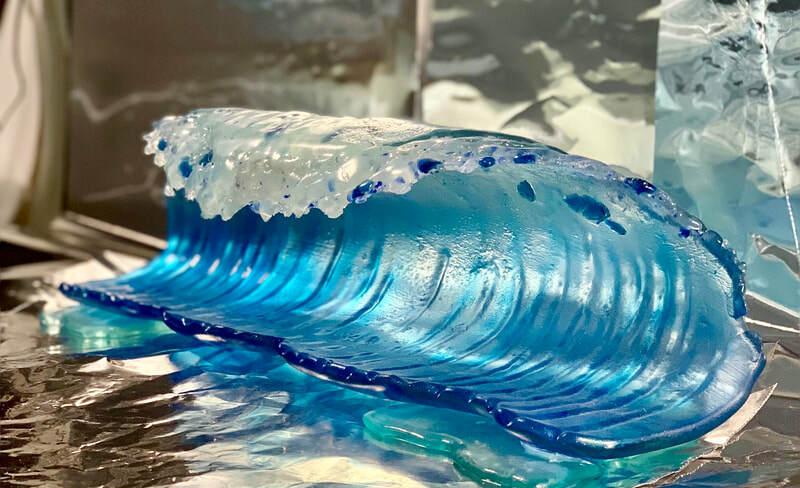 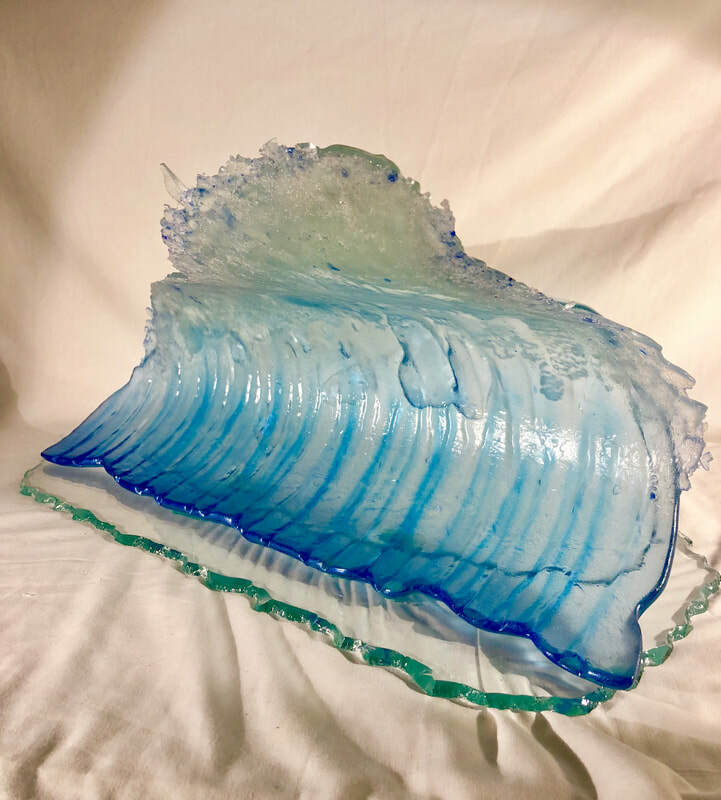 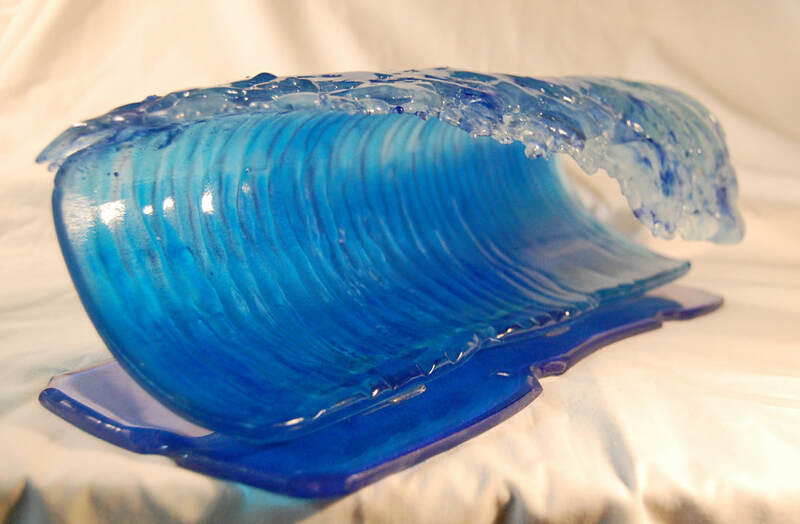 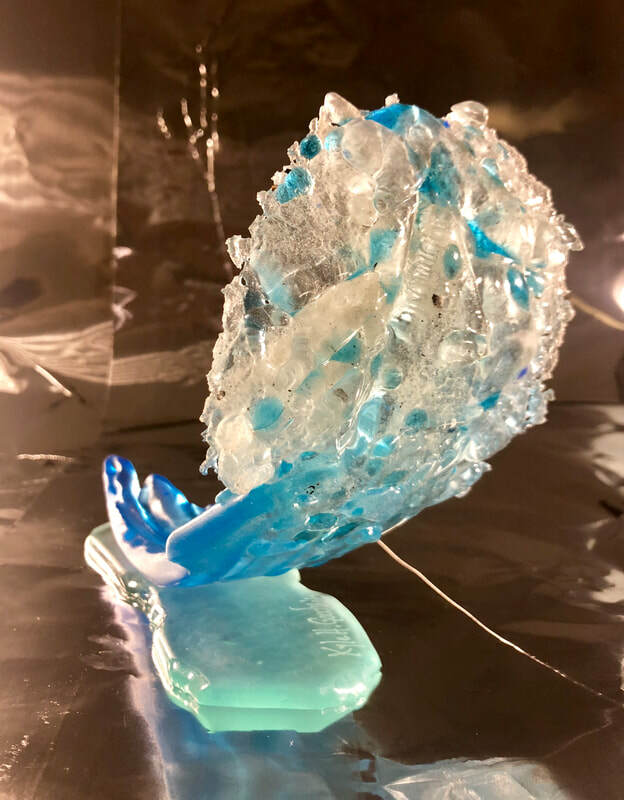 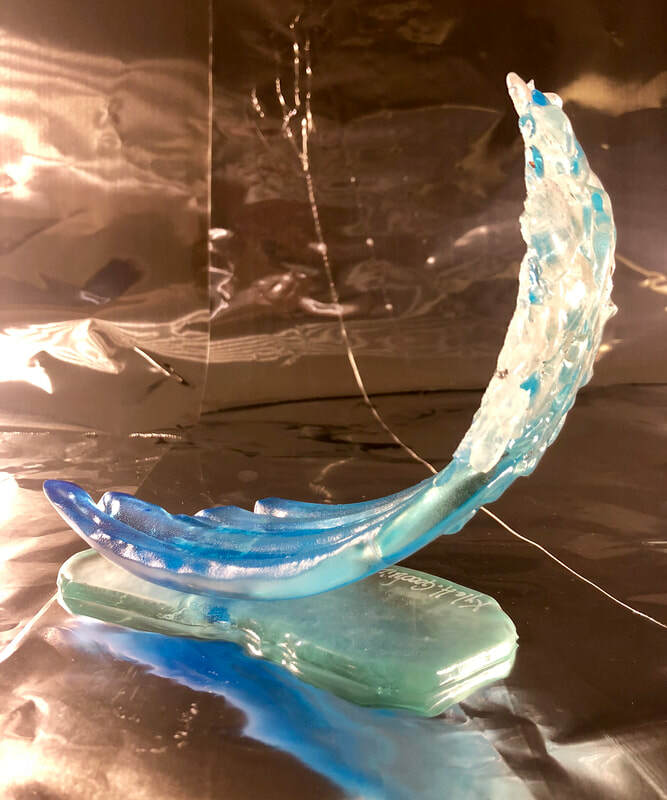 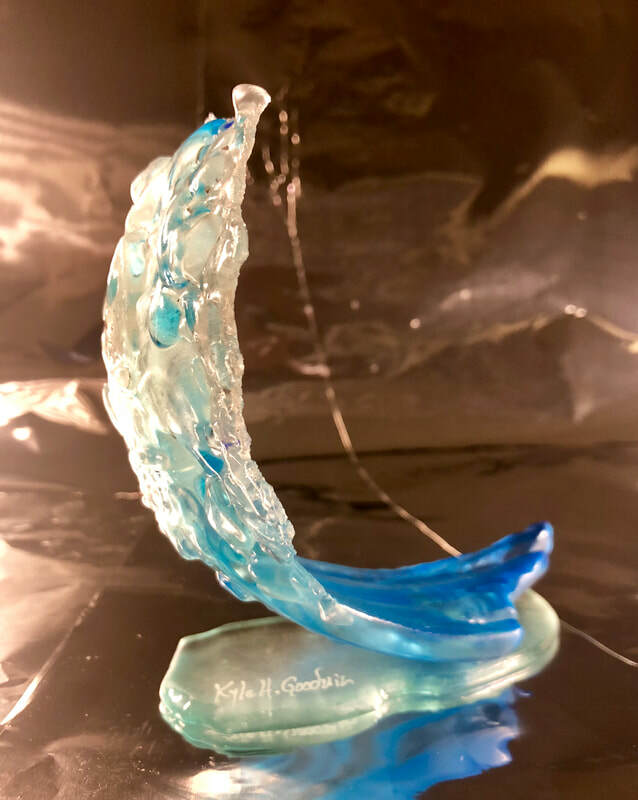 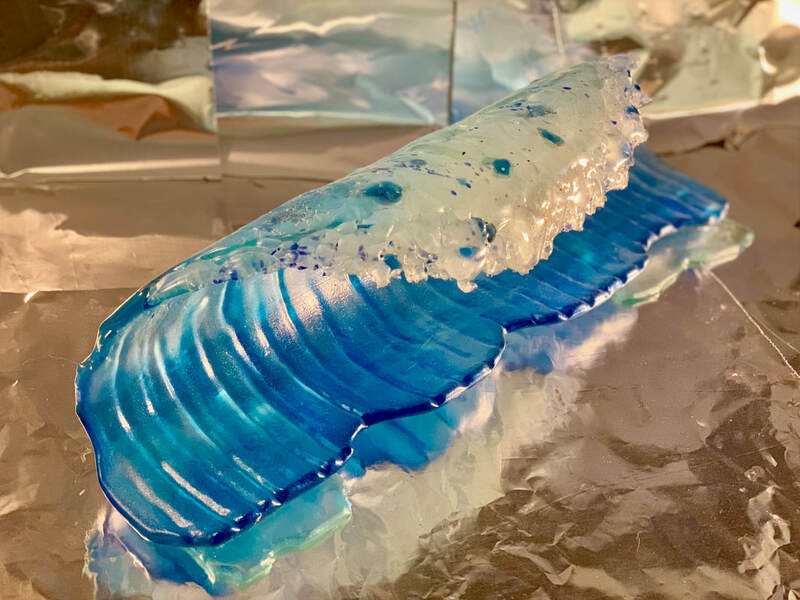 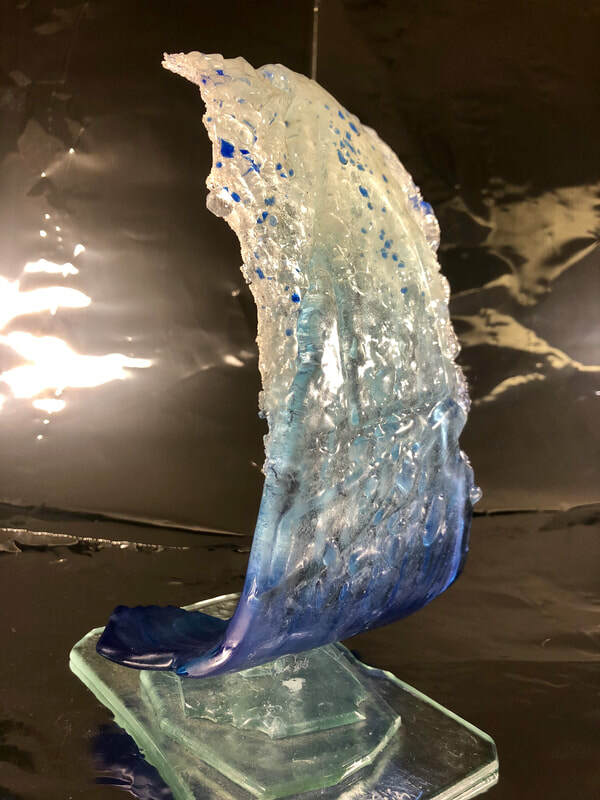 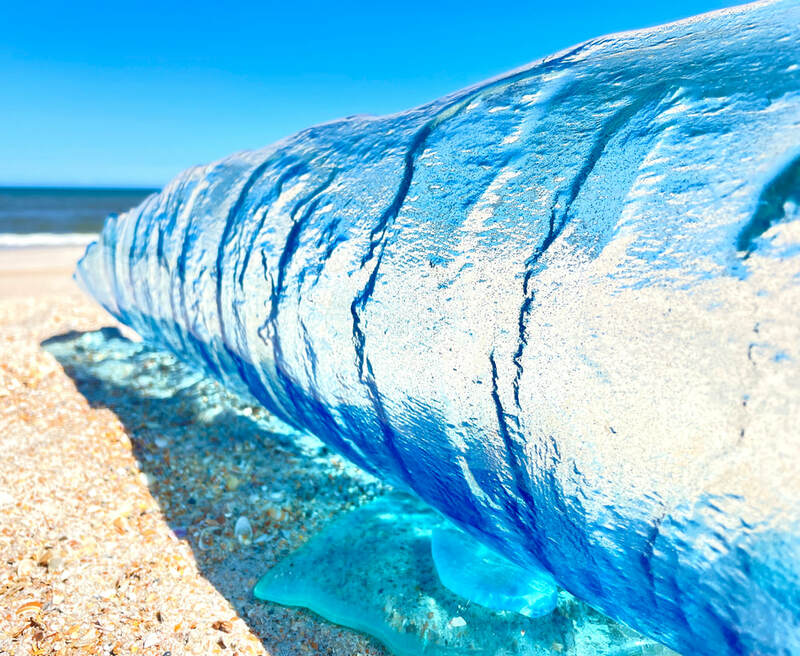 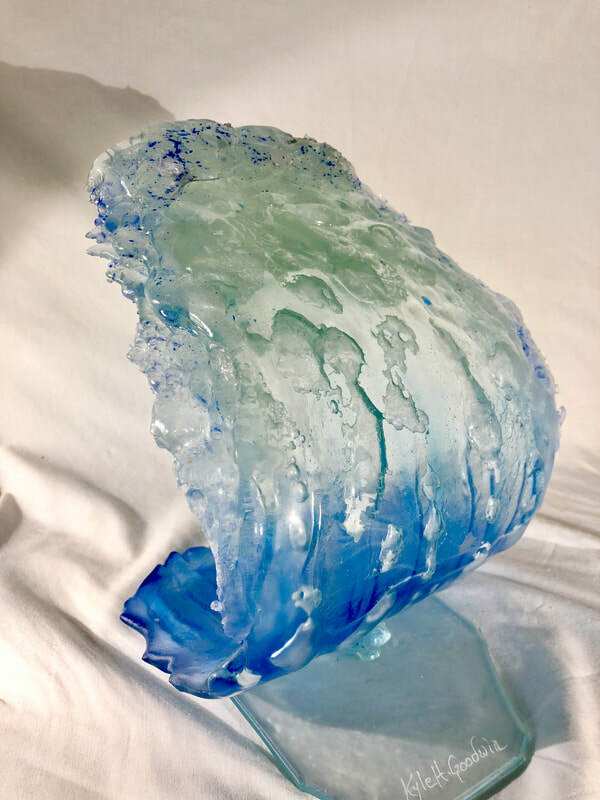 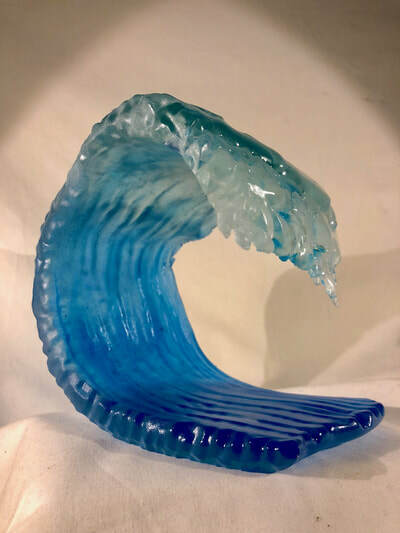 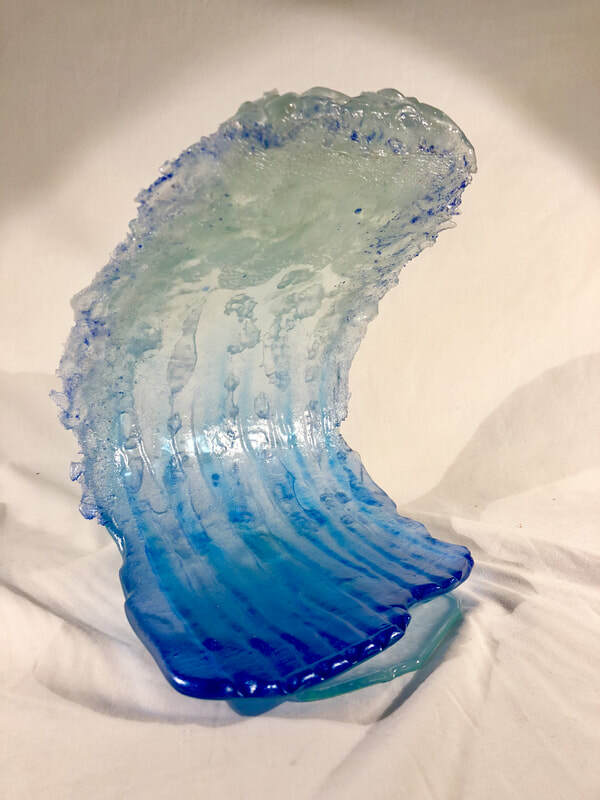 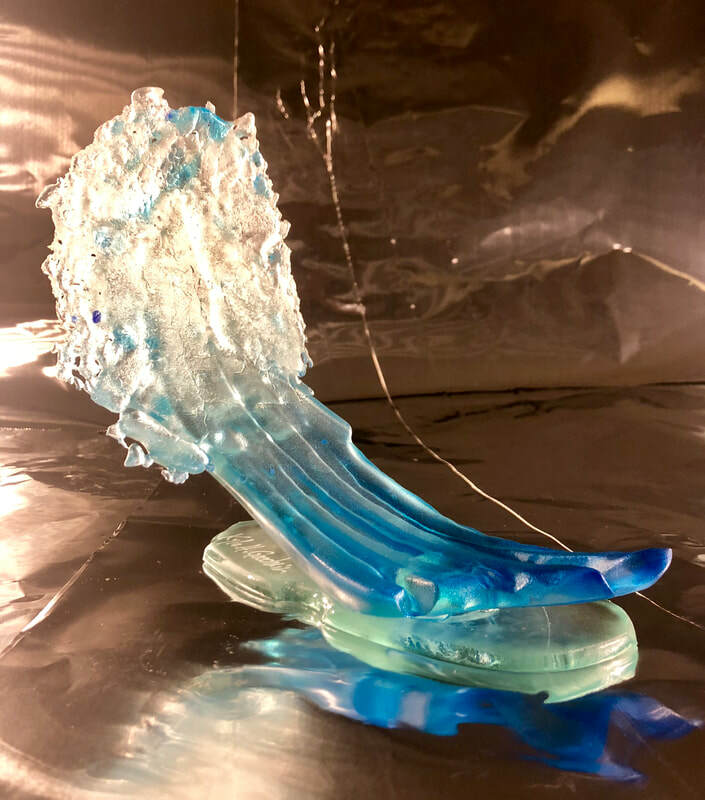 These version of waves require an extra step compared to the Classic style....glass pieces are melted/fused onto a solid piece of glass to achieve the glistening/foamy look. Even the smallest foamy wave will take approximately 35hrs. to complete. Each wave is completely handmade and no two are exactly alike. 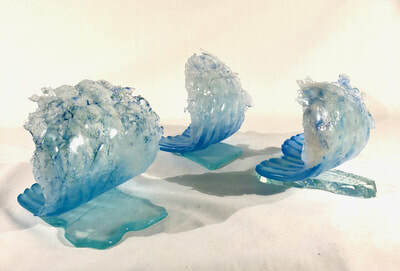 These take approx. 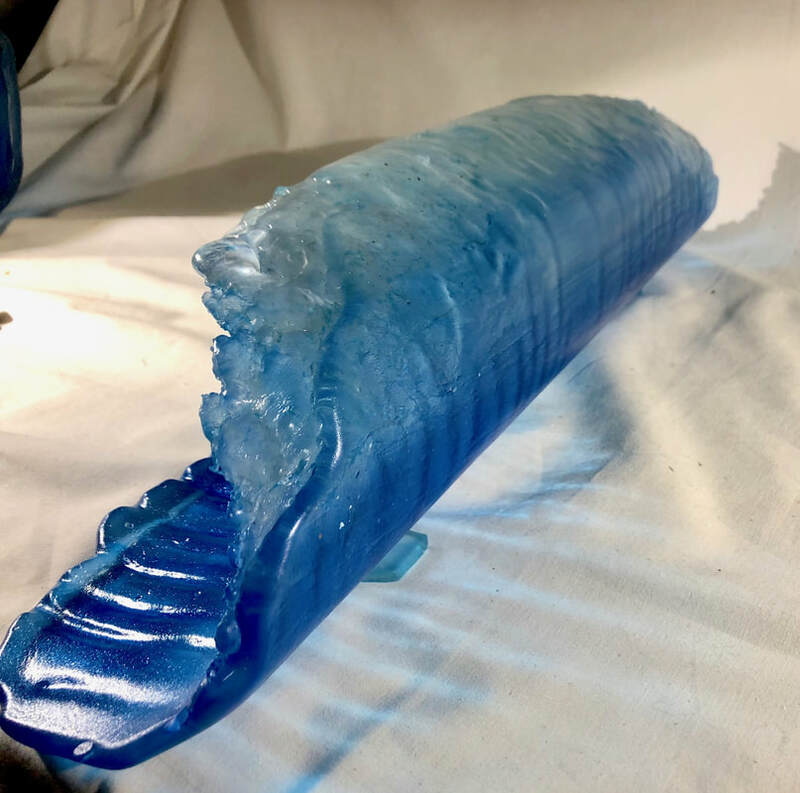 60hrs. 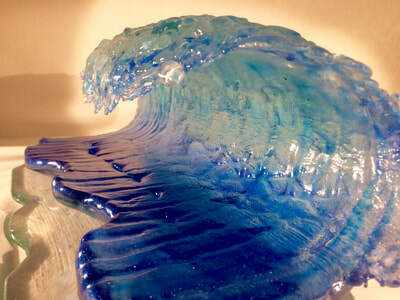 to create...the most difficult of all the waves. 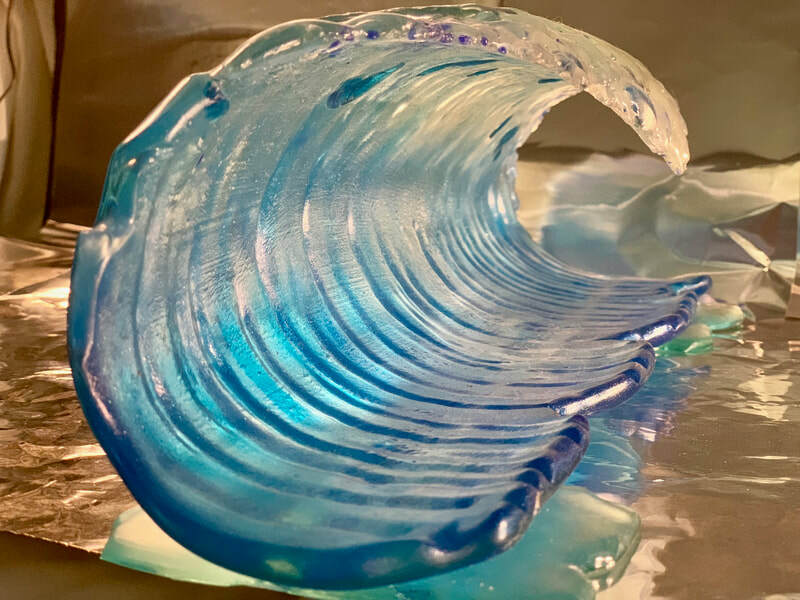 When new foamy barrels are available they will be posted.